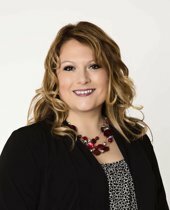 Melissa Hoover and her husband have created the Doug & Melissa Hoover Group in Bemidji. They have the experience, processes, knowledge and the team to get the job done. They have a very distinct advantage because the team breaks down the elements and each team member is responsible for the many different elements of the transaction. Why a team? Many realtors work individually and need to wear many hats. While this can be done, as soon as they get busy, they tend to have a hard time fulfilling all of the tasks when this happens. "Melissa approached us about an interested buyer when she heard we were building and would be moving. Her knowledge and professionalism made the sale ... more "
"We had a great experience working with Doug and Melissa Hoover. They provided honest and helpful advice, which helped us sell our home quickly. In ... more "
"Melissa and Doug are wonderful! We listed our home with them when we were thinking about selling. We only had the house on the market for a short ... more "